Who Are the Tall Poppies? Welcome! Now you have friends who are writers. Smart funny friends who always know the right book for you to read next. We’re women writers in a variety of genres with all kinds of publishers, connecting with women readers all over the world. Author Ann Garvin founded the Tall Poppy Writers to unite authors with readers. The legend of the tall poppy dates back to ancient Greece and Rome. Roman King Tarquin was visited one day by a messenger sent by his son, Sextus. Sextus wanted advice from his father on how to rule. Tarquin went into his garden, took a stick, and swept it across the flowers, cutting off the heads of the tallest poppies. When the messenger reported what he had seen, Sextus realized that his father’s advice was to kill all of the brightest and most successful people in the realm. We believe, however, if a tall poppy is left to grow, other poppies in the field will strive to rise above the crowd as well, all reaching for the ample sun. Here at Tall Poppy Writers, when we share our resources, and invite other authors to our party, our successes only multiply. That, and we like flowers. Start by joining our interactive group, Bloom, for a salon-style experience with content, contests, and giveaways, celebrity guest authors and much more. Follow us on Twitter at @TallPoppyWriters. Or Instagram at @tallpoppywriters. Join the Tall Poppy Book Club on Facebook: https://www.facebook.com/tallpoppywriters. 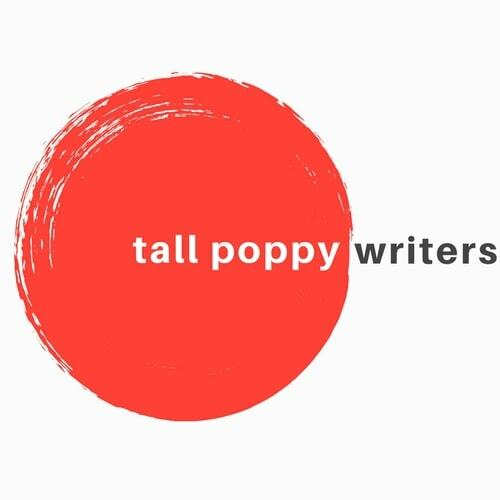 You can find the Tall Poppy Writers at a number of places around the web. We hope you will connect with us there. Facebook/Bloom: If you are an author or publisher interested in applying to be a guest host for the Tall Poppy Facebook group Bloom, please click here to contact us. Giveaways: If you are an author or publisher interested in applying to host a giveaway with the Tall Poppy Writers, please contact us here. Branding/Marketing: If you are interested in marketing and cross-branding opportunities with the Tall Poppies, please contact Tall Poppy Kelly Simmons. Membership Inquiries: Are you interested in joining the Tall Poppies? Although we are not seeking new members at this time, click here to submit an application. Media Inquiries: Member of the media should contact Kerstin March. For all other inquiries, please email Tall Poppy Writer Kimberly Brock.